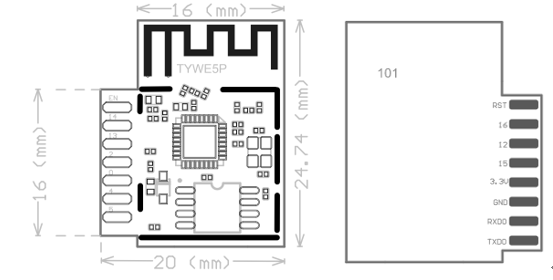 TYWE5P is a low power-consuming built-in Wi-Fi module developed by Hangzhou Tuya Information Technology Co., Ltd. It consists of a highly integrated radio frequency chip (ESP8266) and several peripheral components, with a built-in Wi-Fi network protocol stack and robust library functions. 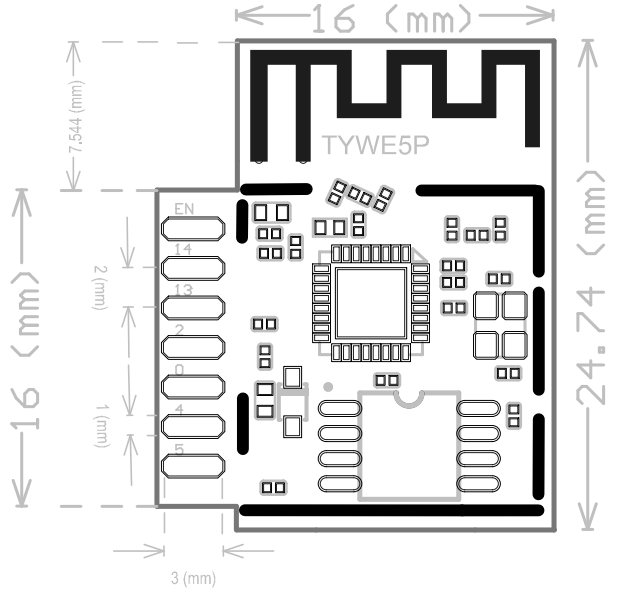 TYWE5P is embedded with a low power-consuming 32-bit CPU, 1 MB flash, 50 KB SRAM, and robust peripheral resources. 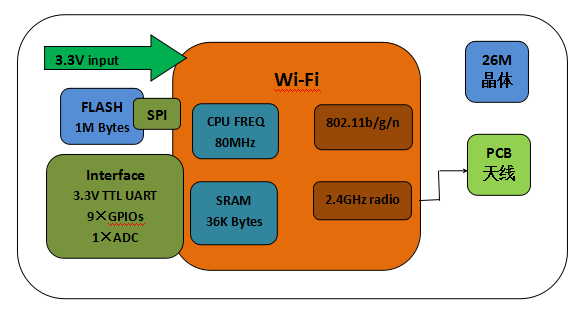 TYWE5P is an RTOS platform that integrates all the function libraries of the Wi-Fi MAC and TCP/IP protocols. You can develop built-in Wi-Fi products as required. Figure 1 shows the schematic diagram of TYWE5P. 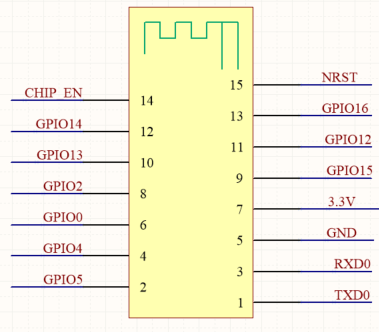 TYWE5P provides two rows of pins with the distance of 2 mm between every two pins. 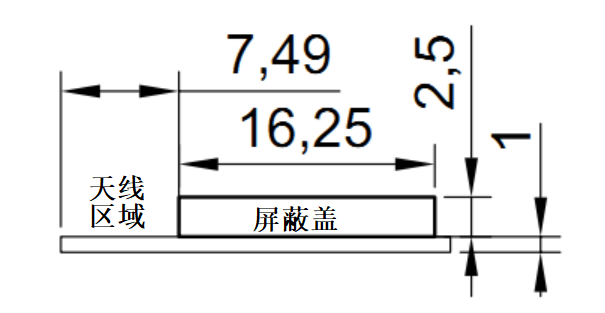 TYWE5P dimensions: 16 mm (W) x 24.74 mm (L) x 3.5 mm (H). Figure 2 shows the overall pin layout of TYWE5P. Note: P indicates power-supply pins, I/O indicates input/output pins, and AI indicates analog input pins. 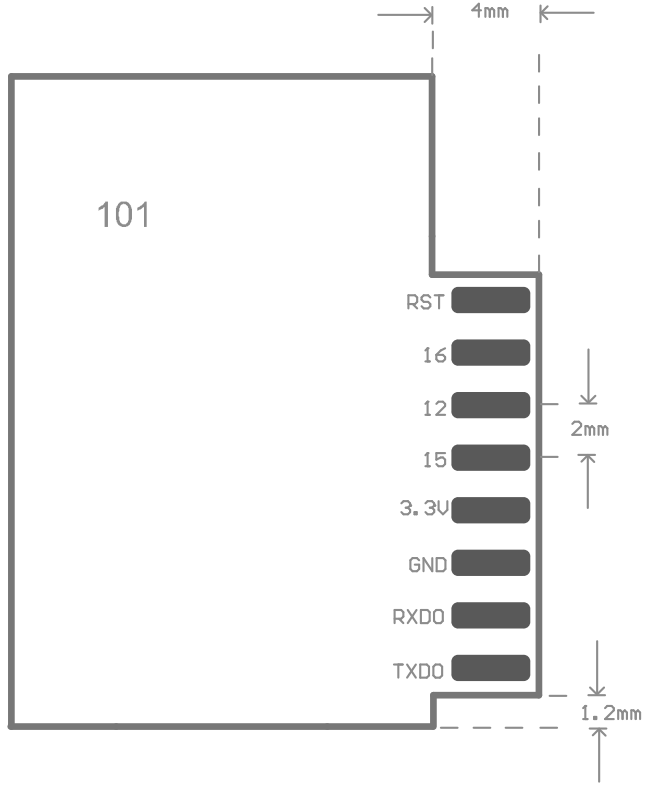 UART0 is a user serial port. When the module is powered on and started, data is exported from the serial port, which can be ignored. Only the onboard PCB antenna is used. To prevent negative effect on antenna performance, do not route copper or cable wires along the antenna area of the user PCB board. 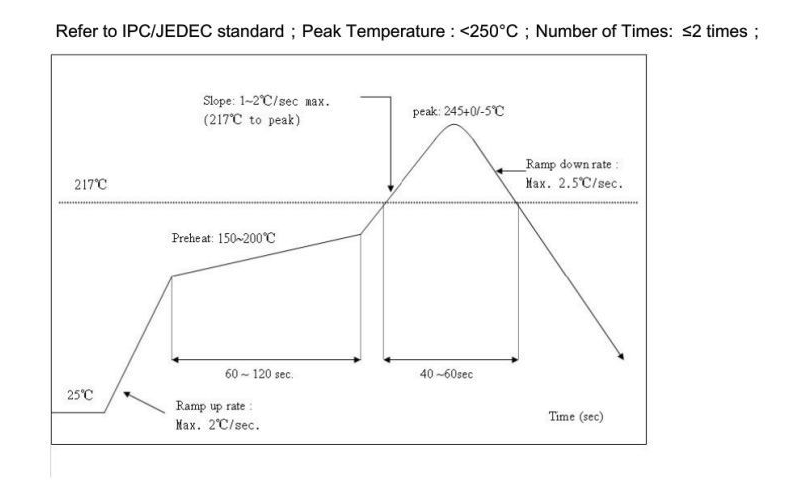 For details about the area of the onboard PCB antenna on a module, see Figure 3.